IT is near impossible for most to conduct a mental volte face, let alone a physical one, particularly when ones mindset is set in stone. In actuality, hell will freeze over before a paradigm shift takes place. CONSEQUENTIALLY, if one stubbornly clings to the belief that a Commander-in-Chief is de facto a patriot, thus, any evidence to the contrary becomes DOA. Similarly, in relation to top level military brass, many are equally blinded because of a perceived factor of patriotism. You know, all the men with puffed up chests and pinned medals, as if that means a damn without true national ethos. ALAS, when it comes to the Traitor-in-Chief it has become crystal clear that he is a rogue and renegade leader. Still, in order to implement said national destruction, it became imperative to purge those military leaders who remain loyal to their Constitutional oath, as opposed to an enemy agent POTUS. If said booting doesn’t signify what’s on tap, well, little will convince the naysayers. SO it is under this reality-based umbrella that JADE HELIM 15 must be judged, regardless of any and all mouthpieces and apologists sent forth via Obama Inc. Listen up…. THEREFORE, how many times does it need to be stated: a domestic war will be thrust upon the citizens under the instigation of HUSSEIN Obama – sooner than later – and patriots must be prepared! Armed. AS such, one finds DHS and the Pentagon’s JADE HELM 15 exercises intersecting with Russian and Chinese troops ala targeted lists! War-like. SIMILARLY, Obama Inc.’s push towards federalized policing makes it that much easier to implement martial law, whenever he deems it “necessary.” Do you still trust the Traitor-in-Chief? IN answer to the above (rhetorical) question, it is obvious that a preponderance of folks in Texas trust him less than they would a poisonous rattlesnake, if as much. Therefore, Governor Greg Abbott ordered the state militia to monitor JADE HELM 15. IN this regard, to accomplish martial law the confiscation of legal guns is atop their to do list. Yesterday, I was fortunate enough to speak to the Chino Valley, AZ. 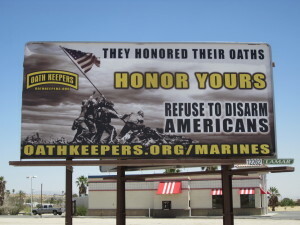 chapter of the Oathkeepers. I came away convinced that I shared a room, for 90 minutes, with people who grasp the importance of the times that we are living in and these former law enforcement and military personnel are dedicated to convincing today’s LEO’s and military to not take up arms against the American people when ordered to do so. I am further convinced that we are beginning to enter a period of time where some in the military are questioning their military mission regarding Jade Helm which means that after months of keeping our collective journalistic eye on the ball, the work is beginning to pay off. I have been telling many colleagues, in the Independent Media, that I fully expected to start hearing from people in more of an official capacity when it comes to Jade Helm, because Jade Helm is anti-American, illegal in its execution and absolutely evil in its intent. I know that there will be a time when most American soldiers will collectively say “enough is enough”. I have heard from many members of the Michigan Reservists and National Guard that are questioning their mission in relation to Jade Helm. I get the occasional email from the family members of military personnel from around the country who are concerned about the direction that our military is being taken. My military sources have confirmed that key members of the Jade Helm leadership are growing concerned because they are not entirely certain of their mission goals because their participation is so heavily compartmentalized. But until yesterday, I have not heard from a person in a command position, or a recent command position, who is expressing concern over Jade Helm and what will follow these drills. This is the story of one leader and his up close and personal view of what lies ahead and this message should scare the life out of every American. On the morning of May 23rd, I was sent an email communication from a man claiming to be a recently retired Lt. General who was forced to retire in an Obama purge of military leadership in which the President has fired 270 command military leaders. He provided me with identifying clues so that I could verify his identity which I subsequently did. As a quality control check, I ran the same information by my two primary military sources. Both sources independently told me that they do indeed know both the identity of this individual and his former role and function in the military. Back in November of 2012, when I broke the news about the attempted soft military coup in regard to the Benghazi story, I hesitated to publish my information for 10 days because I did not have outside collaboration for what I was being told. I almost lost my source as a result of my hesitation. As it turned out in this November 3, 2012 article, I was three months ahead of many outlets because the source was so controversial that many backed away from this topic. However, my information about the soft coup connected with the attempted rescue of Ambassador Stevens has proven to be accurate. I will not make the same mistake did with the Ambassador Stevens story. The Lt. General’s information is important and time sensitive. With his identity validated and confirmed, this is his message about the present national crisis connected to Jade Helm. Approximately 60% of active duty Army personal will side with the American people. Eighty percent of the National Guard will not fire upon American citizens when, as the Lt. General said, “(not if Sir) but when the order is given to openly enslave the American people under Martial Law”. Somewhere around 90% the Marines will side with the American people. The Navy as a whole will stay out of the fight choosing to be the last line of defense against foreign intervention should the country fall into civil war. (Editor’s Note: Please refer to my previous reference to the fact that the Navy has engaged in five years of war games in order to keep most of its ships out to sea). It is widely believed that in excess of 75% of the Air Force will side with the establishment. The Lt. General also identified three emerging sides to this conflict: (1) Those that will support the establishment; (2) Those that will oppose the establishment; and, (3) Those who will not take sides but instead will choose to protect civilians, presumably friends and family. “There are many within the active military both officers and senior NCO’s who see what is happening and what is coming. Many more than you can possibly imagine will not follow an unconstitutional order to move against the American people, nor will they allow foreign troops to openly attack American citizens. This would be the start of a fight these foreign forces could not possibly win as we will be fighting for our families, home, country and freedom. The Russian forces currently on American soil have no stomach for a fight with the American people, I know because I speak fluent Russian and I have met them and many of their officers, when push comes to shove they will stand down and go home. I have met President Putin and I found him to be a Nationalist, the man believes in Russia and while he is interested in expanding Russian influence and power it is because of the threat he sees from America, England and NATO not because he has designs on taking over America”. The Lt. General’s notion that the Russians will stand down, is interesting and foreign to my previous thoughts on the subject and of all the content expressed to me in his email, this will undoubtedly prove to be the most controversial. “With modern antiaircraft systems (mobile and man portable) air power will be all but useless. What we will see is a ground war, city by city, street by street. Additionally what is coming will be unlike any civil war in history, it will be very personal, the government will call the Patriots forces terrorists and traitors, they will arrest, intern, torture and murder suspected terrorists families, this will result in bloody reprisals which will start a vicious cycle lasting for years”. This certainly is not the future that we hope and pray that our children will build for themselves. However, I wrote something similar regarding the nature of the coming civil war almost two years ago which I am going to republish with some updated information. This is a future which I fear, and as a person who espouses nonviolence as a means to solve our differences, I am not supportive of a civil war. However, my permission will not be required when the shooting starts and when ARSOF begins citizen extractions, if they forsake their oath, the conflict will commence. 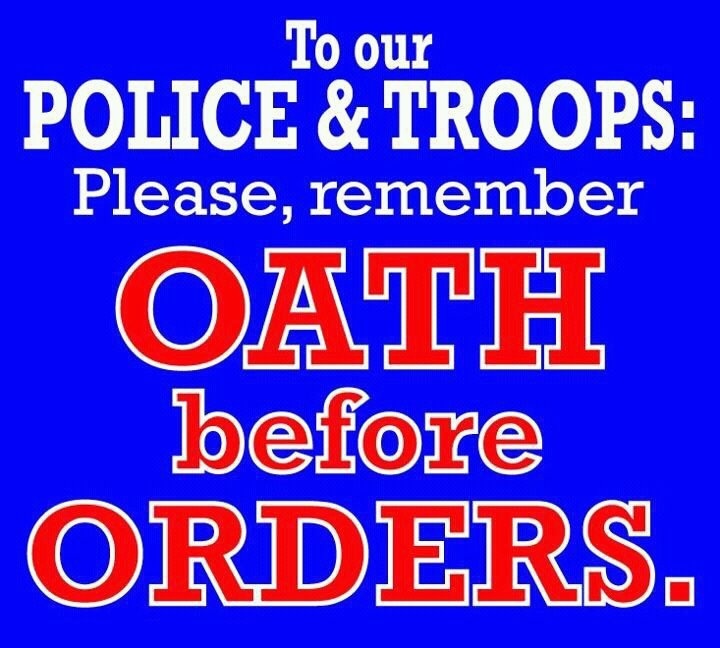 In the meantime, we all need to be Oathkeepers. The Lt. General’s entire email is listed below in the Appendix. After reading your recent article “America’s Survival Depends on Stopping Jade Helm” on May 22nd, I felt compelled to write you. I was recently forced into retirement by President Obama along with 270 other flag officers after a distinguished career beginning on my 17th birthday when I enlisted in the Army. I am not angry about being forced out (at least anymore) because it gave me the time to think about what is about to happen to America and what I could, would and should do. In 2012 I was part of a Pentagon study which estimated that roughly 60% of active duty Army personal will side with the American people as will 80% of the National Guard when (not if Sir) the order is given to openly enslave the American people under Martial Law. Somewhere around 90% the Marines will side with the American people, the Navy as a whole will stay out of the fight choosing to be the last line of defense against foreign intervention. It is widely believed that in excess of 75% of the Air Force will side with government. There are many within the active military both officers and senior NCO’s who see what is happening and what is coming. Many more than you can possibly imagine will not follow an unconstitutional order to move against the American people, nor will they allow foreign troops to openly attack American citizens. This would be the start of a fight these foreign forces could not possibly win as we will be fighting for our families, home, country and freedom. The Russian forces currently on American soil have no stomach for a fight with the American people, I know because I speak fluent Russian and I have met them and many of their officers, when push comes to shove they will stand down and go home. I have met President Putin and I found him to be a Nationalist, the man believes in Russia and while he is interested in expanding Russian influence and power it is because of the threat he sees from America, England and NATO not because he has designs on taking over America. I was part of a major Pentagon study concerning how our military might react to the coming civil war, our forces will break down into three sides, Patriots, Government and those who choose not to take a side but will protect and defend civilians. With modern antiaircraft systems (mobile and man portable) air power will be all but useless. What we will see is a ground war, city by city, street by street. Additionally what is coming will be unlike any civil war in history, it will be very personal, the government will call the Patriots forces terrorists and traitors, they will arrest, intern, torture and murder suspected terrorists families, this will result in bloody reprisals which will start a vicious cycle lasting for years. I have a son and a friend of the family both of which I am proud to say are excellent and decorated officers, my son commands a wing of Apache helicopters and the family friend commands an armored brigade. We were having dinner a few weeks ago with several current and former officers. As the evening wore on the mood turned somber as this very subject came up, they have all discussed this including what to do. As the evening concluded both of my son and my friend’s son, and to a man, all of the other officers O’s came together with one statement. “Sir, when you need us we will be there”. I am personally aware that many such meetings have taken place with similar pledges of support. Never start a fight but always finish it, and when going into battle let your enemy know through your words, deeds and actions that while I might die today, know that I will not die easily and God willing I will not die alone. AND while this investigative journalist asserts that the (purged) General is way too benign in his assessment re Putin’s overall intentions, the fact remains that the rest is on target. Deadly so. PATRIOTS, be prepared to back up your loyalty with action. This entry was posted in Uncategorized and tagged DHS and the Pentagon's JADE HELM 15 exercises, federalized policing, http://joeforamerica.com/2015/05/jade-helm-15-exposed-purged-general-spills-beans-forewarned/, Jade Helm 15, Oathkeepers, Obama's national destruction, purging military leaders by Adina Kutnicki. Bookmark the permalink. I live about 10 miles from Ft. Bragg NC. I will be glad when this is over and the guys get back. It is hard to sleep without the artillery & mortar whomps shaking the house at night. We miss the Blackhawks & Ospreys coming across the skies. The guys wave at the women & kids. The other day about a dozen C5s passed over and all the neighbors came out looked up, smiling, we had not seen any in a while. They were a sight for sore eyes. You can hear C5s rumble a county away. And as far as DHS & the UN confiscating guns, my guess is they won’t get many guns but their doctors will retrieve a shitload of buckshot from their azzez. They will find out, they ain’t in Europe. Think about it. Would you want a ground war or a situation where people are willing to give themselves up to the government? An incident with push patriots to fight back. This will allow for a false flag to get citizens to turn against patriots. Then the grid goes down and patriots will be blamed for it. The grid will remain down for at least 2 months. This will cause a massive population reduction, which in turn, will reduce the combatants against the government. After 2 months people will gladly turn in their weapons for food and shelter. What will they accomplish? The complete transformation of the US, the completion of Agenda 21, the massive reduction of patriots and last of all, the return of the Caliphate. This just looks like a socialist, Marxist agenda. In the end, the progressives, socialists and Marxists will either become Muslims or loose their heads. They are being played just as much as the rest of us. If you want to win this, you’d better be able to survive for more than 2 months and fight for the rest. Here’s an idea. Instead of an “exercise,” give the troops some real-world experience in the homeland. Drop them into the reported Al-Qaeda and ISIS training camps right here and eliminate that threat. Texas would be a prime candidate for such an operation. The natives will help eradicate any other interference. Sharia law has already been set up in Irving, though with counter moves by the city to prevent their ignoring of local, state, and federal law. All it takes is a toe in the door. Let’s chop that toe off. Pingback: Israel's Voice | JADE HELM 15 Exposed: PURGED General Spills Beans. Forewarned. COMPARTMENTALIZED is the KEY……..A situation within an organization concentrically6 organized wherein no one knows what exactly is taking place at the other levels. But what opponents of this organization must assume is that the mission of said group is to diminish or destroy hence prepare to defend rights and territory anticipating the worst: PREPARE FOR THE WORST even While HOPING FOR THE BEST. with the AG going after (investigating) the police dept. do you see a purge coming? Supposedly its from police firing on US citizens . They will get theirs asses handed to them on a platter.No way they can win against 100 million armed Americans. That is why Obama wants our guns.